The SBA has evolved in recent years to encourage the small business in more ways, with programs tailored to reach women, minorities, low-income, and veteran business owners. By far the most popular SBA program is the SBA 7(a). Thatâs because it provides a lump sum to fund startup costs, purchase new land, machinery, or storefront furnishings, undertake growth projects, and more. But sometimes these larger lump sums arenât the best fit, and a revolving line of credit — such as the one offered by the CAPLines program— makes more sense. Go to our guide on best business line of credit options. Most people associate the SBA loan program with traditional lump-sum, small business financing; many business owners arenât aware that lines of credit are also available to them. There may be many situations in which a line of credit just makes more sense than a traditional loan. Whether you’re facing an upcoming project with a looming, uncertain budget, or extra seasonal requirements for inventory due to your business model, CAPLines (SBA lines of credit) may prove to be invaluable. Read on to find out more about the four SBA loan programs that offer lines of credit under the CAPLines umbrella. There are four distinct loan programs offered under the CAPLines program for small business owners. Offering loans of up to $5 million, backed by a 75-80% SBA guarantee, this program provides necessary funds to business owners who may need a revolving line of creditÂ while easing the burden of risk for lenders. Thanks to that SBA guarantee, acquiring the financing you need for those cyclical ebbs and flows in your revenue may be more accessible than you think. The four types of CAPLine loans are the Working Capital CapLine, Seasonal CAPLine, Contract CAPLine, and Builderâs CAPLine. We will go into each in much deeper detail below, so keep reading to find out which may be the perfect fit for you. A Working Capital Line of Credit is a CAPLines programÂ geared toward businesses that sell on credit. If that sounds like your business model, it may make sense for you to consider this type of loanâespecially if youâve struggled with the availability of financing from other types of loans. Working Capital CAPLine loans offer a source of financing in the form of a revolving line of credit that can be used for your short-term operating and working capital needs. However, funds from this type of loan can not be used to pay state sales tax or other similar trust funds, nor can you use them to pay delinquent withholding taxes or floorplanning. For more on collateral requirements, see the SBA Line of Credit Eligibility & Collateral Requirements section below. A Seasonal Line of Credit CAPLine can be used to finance businesses that require additional inventory, accounts receivable, or labor at certain times of the year. Itâs a misconception that this type of credit is meant to get you through the off-season, as the proceeds must go towards supporting growth during high-volume periods rather than boosting your working capital during slow periods. A seasonal line of credit works great for business owners who understand their seasonal patterns and want to avoid taking one lump sum. Lines of credit can relieve holiday pressures and help you keep momentum to fulfill growth during those busy seasonsâitâs a win-win. A Contract Line of Credit is there to fulfill one purpose: toÂ finance the costs of specific contracts. Funds can be used to cover overhead or administrative costs and general expenses, too, as long as these are allocable to a specific contract or contracts. Other SBA loan programs (the 7(a) program comes to mind) would be more appropriate for the above financing needs. Contract Line of Credit CAPLines should only be considered if you need funding forÂ one or more specific contracts, and youâll have to account for those for in relation to the work or outcome. Similar to the Contract Line of Credit, a Builder’s Line of Credit can only be used for very specific purposes. If youâre a business owner who needs to finance the cost of direct expenses incurred during a construction project, this may be your opportunity. When youâre developing residential or commercial properties to resell and you need a line of credit to cover expenses, the Builder’s Line of Credit may be the right fit for your needs. Read on below to find out more about CAPLine requirements, eligibility, and how to get started. To qualify for any type of loan through the SBA, including CAPLines, youâll need to meet the SBA size standards for a small business, operate for profit, and have reasonable equity to invest. There are certain requirements for size depending on industry and type of businessâyou can check out the SBA size standards to see if you qualify. Conduct business in the U.S. and have a physical location in the U.S.
Bad credit and need funds now? See top business credit cards available to you. Because each CAPLine meets a specific need, there are some variations in the requirements for each distinct type. Hereâs a quick look of what to expect for each below. Collateral requirements are the first lien on accounts receivable and inventory. There are no specific collateral requirements for Seasonal CAPLines. Collateral requirement is a first lien position on the contract and proceeds. The table below lays out what you can expect regarding CAPLine rates and terms for a loan through the SBA. You can also view currentÂ SBA loan rates to see the latest figures. Some additional fees through the CAPLines program include packaging or service fees, late payment fees, and appraisal and environmental reports if applicable; renewal fees apply for a short-term loan that exceeds twelve months. Because these are revolving lines of credit, expect some differences as far as interest rates, too. Rates can be fixed or variable, so make sure you understand the terms before deciding whatâs best for your business needs. For some businesses, a CAPLine just doesnât fit. Whether itâs that you donât meet the requirements, you need something faster, or you simply want to arm yourself with more knowledge, learning about non-traditional, online lines of credit can be an important step in the decision-making process. Online lenders can provide an easier avenue to much-needed fundsânot to mention that they donât have as many requirements about how you can use the cash. When youâre considering whether a CAPLine or a private lender is best, consider that youâll probably have to pay a little higher rates for that freedom. You’ll likely find that the borrowing amounts and terms for an online loan arenât as good as they will be for CAPLineâbut for some businesses, an online loan may still the right choice overall. If you would like to see what is out there in the world of online lenders, take a look at ourÂ business line of credit comparison page. You can also find longer reviews on online lenders such as Kabbage, OnDeck, and BlueVine if you want to do even more research on your options. Â It never hurts to shop around! While CAPLines may be among the more complex funding programs offered by the SBA, this form of financing can provide many benefits to businesses that meet requirements and would benefit from a revolving line of credit. Hopefully, now that you have more information at your disposal, choosing what type of small business loan to focus on should feel less overwhelming. â¢ Free loan aggregation service; requirements vary by area and lender. The post What Are CAPLines? 4 SBA Lines of Credit You Need to Know About appeared first on Merchant Maverick. Small businesses represent the American Dream. A successful small business doesnât translate to success for just one person — small businesses fuel local economies and provide jobs. When small businesses have the chance to grow and thrive, everybody wins. And that’s why organizations like the Small Business Administration exist. The Small Business Administration, or SBA, is a government agency that provides the tools and resources needed to help business owners succeed. From training sessions to educational materials, the SBA provides resources and serves as an advocate for small businesses. The SBA has also become known among entrepreneurs for one big piece of the small business puzzle: financing. Through its loan programs, the SBA provides affordable and flexible loan options for everything from expansions to new business acquisitions. If youâre ready to take your small business to the next level and you need the capital to get there, you canât go wrong obtaining funding through an SBA loan program. But where do you begin? Let’s start by learning more about the different types of SBA loans. Once you have a good base of knowledge, you’ll be better able to select and apply for the program thatâs right for you. The SBA doesnât loan money directly to small businesses. Instead, the SBA works with intermediaries to provide low-interest loans with competitive terms to small businesses and startups. These intermediaries could be traditional banks, private lenders, credit unions, or even nonprofit organizations. The SBA has created a set of standards upheld by its intermediaries to keep loans affordable for small businesses. This way, borrowers can expand and build their businesses without facing high interest rates, daily draws, or other drawbacks they might encounter with more expensive forms of credit. The SBA backs large percentages of the loans given through its programs — anywhere from 50-85% — lowering the risk involved and making lenders more apt to lend to small businesses. The SBA offers several programs of interest for small business owners. Letâs explore the different types of SBA loans to determine which best fits the needs of your small business or startup. The SBA 7(a) program is the most well-known among SBA loans. SBA 7(a) loans are extremely popular because of the great terms and flexibility they provide. However, there are several different types to consider, each of which comes with different maximum loan amounts, interest rates, and terms. Read on to find out more about each type to determine which is the right fit. Standard 7(a) Loans:Â When most people refer to SBA 7(a) loans, this is the program that comes to mind. Through this program, small businesses can borrow up to $5 million. Interest rates are negotiable and maturity terms are typically 10 years or 25 years, depending on how the money is used. The SBA guarantees 75% to 85% of the total loan amount, putting less risk on lenders so they can feel confident in loaningÂ money to small business owners. SBA Express Loans:Â One of the drawbacks that many potential borrowers find with SBA Standard 7(a) loans is the length of the process from application to approval and funding. The entire process takes, at a minimum, 30 to 90 days. Borrowers who want a fast approval should consider SBA Express Loans. Within 36 hours, the applicant will know whether or not theyâve been approved. While actually receiving the money can still take weeks, itâs very reassuring to business owners to have an approval locked down so they can quit searching for loans and know that theyâve secured funding. The maximum loan amount is just $350,000 through this program, which could be a drawback for anyone seeking more financing. Because the SBA backs only 50% of each loan distributed through the Express program, these loans can be more difficult to obtain, especially for startup businesses. Community Advantage Loans: These loans are very similar to the Standard 7(a) loans given by the SBA. The biggest difference is that the Community Advantage Loan program is reserved for borrowers in underserved communities. This doesnât just mean small businesses in low-income areas, although those do qualify for this program. Community Advantage loans are also available to women, minorities, veterans, and startups. This program provides opportunities to businesses that may not qualify for traditional financing options. The maximum loan amount under this program is $250,000. Veterans Advantage Loans:Â Veteran-owned small businesses can get the funding they need through the Veterans Advantage program. Through this program, veterans and service members get to enjoy the same great rates and benefits of the Standard 7(a) loans but with reduced fees. This program offers loans up to $5 million. Export Express & Export Working Capital Loans:Â Exporters can get funding through the SBAâs Export Express and Export Working Capital programs. Through the Export Working Capital loan program, small businesses can receive up to $5 million in financing. Under the Export Express program, loans up to $500,000 are distributed. Though these loans are smaller, the benefit is that applications are approved within 24 hours. SBA Lines of Credit (CAPLines):Â SBA CAPLines offer short-term and cyclical funding options for small businesses. Funding of up to $5 million is available with maximum repayment terms of 10 years. There are four different lines of credit available under this program. Seasonal CAPLines are used for accounts receivable and inventory that increase seasonally; Contract CAPLines are used to finance specific contracts; Builderâs CAPLines are used for the construction or renovation costs for commercial or residential buildings; Working CAPLines are a type of revolving line of credit used for recurring, cyclical, or short-term needs and is used by businesses that do not qualify for long-term credit programs. SBA 7(a) loans are so popular because there are very few limitations. With Standard Loans, Express Loans, Community Advantage Loans, and Veterans Advantage Loans, funds can be used for a variety of purposes, including the purchase of equipment, expansion, the acquisition of a business, or working capital. Export Express and Export Working Capital loans can also be used for just about any business purpose but are limited to usage only by companies that sell goods or services outside of the territorial United States. As previously mentioned, SBA CAPLines do have limitations in how they are used. Builderâs CAPLines can only be used for direct expenses related to construction or âsubstantial renovationâ to a residential or commercial building. Contract CAPLines can only be used for the costs of specific contracts and canât be used to purchase fixed assets, pay back taxes, or refinance existing debt. Seasonal CAPLines are used to fund seasonal increases of inventory or accounts receivable, although in some cases it can be used for increased labor costs. Working Capital CAPLines are used for short-term needs and canât be used for delinquent taxes or floor planning, and there are also limitations for acquiring fixed assets. The interest rates for SBA 7(a) loans are set by the lender, but all interest rates must fall below the maximum rates put in place by the SBA. For Standard 7(a) loans, the interest rate is based on the current prime rate. Lenders can add between 2.25% and 4.75% to the prime rate, depending upon the total loan amount taken and the repayment terms. For real estate, repayment terms up to 25 years are available. Business acquisitions and equipment financing come with terms up to 10 years. For working capital, the loan maturity is 7 years. A one-time guarantee fee up to 3.75% may be passed on to the borrower. Additional fees may also be required by the lender, including but not limited to closing costs or referral fees. A prepayment penalty applies when the loan is paid within the first three years when the repayment terms are 15 years or longer. The maximum interest rate for SBA Express loans is slightly higher. Lenders can charge the current prime rate plus an additional 4.5% to 6.5% based on the amount borrowed. Terms are the same for SBA Express loans as Standard 7(a) loans. A guarantee fee of up to 3% can be passed on by lenders to borrowers of Express loans, while additional fees including packaging fees and closing costs may also apply. Community Advantage loans have a maximum rate set by the SBA as the prime rate plus 2.75% to 6%. Repayment terms for these loans are similar to Standard 7(a) loans â up to 25 years for real estate and up to 10 years for acquisitions, inventory, equipment financing, and other expenses. Closing costs and fees for appraisals, reports, and other costs may be passed on to the borrower. Veteranâs Advantage loans come with the same repayment terms and interest rates as Standard 7(a) loans. The difference is in the guarantee fee, which is reduced by 50% for loans from $125,001 to $350,000. Repayment terms remain the same as other 7(a) loans, while interest rates are set between 4.5% and 6.5% on top of current prime rates. A guarantee fee up to 3% will also be paid and varies based on the term length and amount borrowed. Repayment terms for CAPLines are up to 5 years. A maximum interest rate of the prime rate plus 2.25% to 4.75% has been set by the SBA. A one-time guarantee fee between 2% and 3.75% will also be charged, as well as additional expenses similar to other SBA 7(a) loans. There are a few requirements set by the SBA that apply across the board for all SBA 7(a) loans. All businesses must be based in the United States and must be for-profit. All applicants must qualify as a small business with 500 or fewer employees and a net worth below $15 million. Businesses must not be engaged in illegal operations. Borrowers must have a solid credit history, with a recommended score of 680 or higher. Borrowers should be prepared to offer adequate collateral, including personal real estate if needed. Personal guarantees are required. The applicant must also show a legitimate business need for the loan and must have exhausted other financial options before applying. All applicants should be prepared to show documentation for ownership, personal and business credit, and financial outlooks. Startups are required to have a solid business plan prepared. Anyone applying for the Veterans Advantage program must have a business that is at least 51% owned and controlled by a veteran, servicemember, reservist, or National Guard member. A current or widowed spouse is also eligible to apply. Think the SBA 7(a) loan program is right for you? Before you apply, find out everything you need to know about this popular small business financing option. The SBAâs CDC/504 loan program is a bit different because instead of working with one intermediary, a borrower works with two: a participating lender and a Certified Development Company. With these loans, the SBA provides up to 40% of the total cost of a project through a Certified Development Company. A traditional lender, such as a bank or credit union, provides 50% of the total project cost. The borrower is responsible for the remaining 10% of the total project cost. The maximum SBA loan amount distributed through this program is $5 million. While there are some limitations, the CDC/504 loan program can be used in a variety of ways to update, expand, or improve a small business. These loans can be used to purchase buildings or land, improve land, renovate facilities, or purchase long-term fixed assets. Debt can be refinanced using these funds provided that the debt is connected to the purchase or renovation of facilities or equipment. Funds from these loans canât be used for repaying or refinancing debt (other than the refinancing of debt as described above). It also canât be used to purchase inventory or for use as working capital. The interest rates for 504 loans are based upon the market rate of 5-year and 10-year Treasury issues. The portion that is funded through a traditional lender will be subject to the lenderâs own interest rates. Repayment terms of 10 years and 20 years are available for the SBA-funded portion of the loan. Funding fees, processing fees, and closing fees may also apply and can be financed with the loan. SBA 504 loan borrowers must meet all standard requirements set by the SBA. Borrowers must operate a for-profit business and should not be involved in nonprofit, speculative, or passive activities. Borrowers must show a legitimate need for the financing. They must also find a CDC and additional lender that operates in their area. Collateral is generally required, although typically the assets that are being financed serve as collateral. Personal guarantees are also needed from all applicants and owners of 20% or more. Read on to learn more about SBA 504 loans. Should I Choose An SBA 504 Loan Or A 7(a) Loan? Wondering which SBA loan is right for you? Here’s a quick comparison of the two. Small business owners looking for a smaller loan can apply for the SBA Microloan program. Through this program, borrowers can work with nonprofit intermediaries to receive up to $50,000 in low-interest funding. SBA Microloan funds can be used in almost any way to operate or expand a business. Purposes for these loans range from working capital to purchasing supplies and equipment. However, microloans canât be used for purchasing real estate or refinancing debt. The interest rates for microloans are based primarily on the intermediaryâs cost of funds. The intermediary may charge this rate plus a maximum of 7.75% on microloans exceeding $10,000, or up to 8.5% on loans that are $10,000 or less. The maximum maturity for microloans is six years. Packaging fees between 2% and 3% may also be charged by intermediaries. Additional fees, including but not limited to credit reports, filing fees, recording fees, or other closing costs, may also apply. Find out more about the rates, terms, and fees of microloans before applying. Microloans are subject to the same standard requirements set by the SBA, including qualifying as a small business. All businesses must be for-profit, although non-profit childcare centers also may apply. Applicants seeking more than $20,000 must pass the SBAâs âno credit elsewhereâ test. This simply means that any borrower must have sought other non-federal means of financing before applying. There must also be a legitimate need for the financing, and it should be proven that the small business is set up for a profitable and successful future. Collateral may be required, but this decision falls upon the lender. The SBA simply requires the lender to use âprudent lending practicesâ when determining whether a microloan should be collateralized. Credit is also a consideration and scores should be at least 680 upon applying. With so many options, itâs easy to see why SBA loans are the ideal choice for any established small business or startup. Once youâve found a loan that best suits the needs of your business, itâs time to take the next step and apply for funding. Before reaching out to a lender, itâs important to make sure that you complete as much legwork on your end as possible. One of your first moves should be to make sure your credit is where it needs to be to qualify. As previously mentioned, a minimum score of 680 is ideal, although higher scores have higher chances of approval. You can easily obtain a free credit report and score online to see where you stand. You can also use your free report to check for any errors that need to be disputed. If there are any negative marks on your report that are accurate, you will need a reasonable explanation for each. Find out more about the requirements needed to obtain an SBA loan. Once youâve confirmed that your credit is up to par, the next step is to begin gathering documentation. Requirements vary by lender, but you should expect to provide a minimum of 2 yearsâ worth of personal and business tax returns, financial statements, business licenses, and financial projections. Startups should have a solid business plan prepared to replace financial documentation that may not be available. The next step is to find an SBA-approved lender that services your area. Once youâve found your lender, there is a strong possibility that you will be required to appear in their office. A list of documentation may be provided before your meeting. Some lenders may also allow you to start the application process online or over the phone. Your lender will go over all required documentation, as well as their interest rates, terms, and other vital information such as down payments and collateral requirements. Make sure that you understand all terms before moving forward in the process. Once youâve come to an agreement, your application is completed and sent off for approval and underwriting. At this point, itâs important to understand that the funding process for SBA loans can be lengthy. On average, expect to wait a minimum of 30 to 90 days for your funding. Potential delays may further prolong the process. If youâve applied for specific programs such as the SBA Express loan program, approval may be received in just days, but additional time will be required to close and fund the loan. Where Do I Find SBA Loans? To find an SBA loan in your area, you can visit the SBAâs website for more information. You can use the siteâs Lender Match tool to be paired with a lender that can provide the loan youâre looking for. You can also ask for a referral for an SBA-approved lender from your financial institution. Make sure that the lender you choose is authorized to provide the specific type of loan that interests you. Once approved, the loan will be closed and youâll receive your funding. The final step is to use your funds responsibly. Remember to always pay your loan based on the agreed-upon terms and use all loan proceeds to further improve or expand your business to elevate your success. The post The 3 Types Of SBA Loans Business Owners Should Know About appeared first on Merchant Maverick. It all started with the telegraph. Invented in 1837, this technological advance enabled nearly-instantaneous communication across vast distances for the first time ever. Its introduction into commercial use disrupted a courier system that had been the only available method of communicating from one distant place to another for thousands of years. In 1861, the completion of a telegraph line connecting the west and east coasts of the United States rendered the fledgling Pony Express obsolete practically overnight. Today, of course, we take instantaneous communication for granted. Thanks to computers and the internet (and the fiber optic cables that actually connect them), we can send huge amounts of data anywhere in the world in practically no time at all. Given all this wonderful technology, if youâre a high-risk merchant, you might be wondering why it takes so long to get approved for a merchant account. You might also be sorely tempted by claims of âinstant approvalâ from merchant account providers who advertise directly to the high-risk community, especially if youâre running an eCommerce business and you absolutely need to be able to accept credit cards. In this post, weâll explain what âinstant approvalâ really means and why itâs usually not a good idea, no matter how desperate you are to get a merchant account. Weâll also delve into how the high-risk merchant account approval process works and what you can do to make it run a little smoother â and faster. Finally, weâll recommend a few reputable high-risk specialists that can get you set up with a stable and fairly priced merchant account. We get it. Itâs no fun trying to run your business with an âIn God we trust; all others pay cashâ sign posted next to your cash register because you canât get a merchant account. It also means disappointed customers and lost sales. Under these circumstances, the temptation to sign up with the first provider who will actually accept your business can be pretty overwhelming. Unfortunately, itâs also a really bad idea. The simple reality is that it always takes longer to obtain final approval for a high-risk merchant account than it does for a low-risk business. While traditional low-risk businesses can expect to be approved within a day or two, high-risk merchant accounts require a minimum of three to five business days to be approved, and this process can sometimes take as long as three to five weeks. Why so long? Approving a high-risk business requires a far more extensive investigation into the credit history of both the business and the business owner. Poor personal credit on the part of the owner is one of several reasons why a business might be classified as high-risk in the first place. Youâll have to submit far more documentation and wait far longer for this process to be completed than a low-risk business would. So, how can some providers even claim to offer âinstant approvalâ? Well, for one thing, itâs not really instantaneous at all. If you see a provider advertising âinstant approval,â thereâs usually some fine print included with the offer specifying that approval actually takes 24-48 hours. While thatâs a lot faster than the normal time-frame, itâs still not exactly âinstant.â What these providers arenât telling you is that approval for your merchant account is actually a two-step process. First, you must be approved by your merchant account provider. Second, you must be approved by the acquiring bank or backend processor that is actually going to underwrite your account and process your transactions. Getting approved by your merchant account provider is actually pretty easy, but not for good reasons. The truth is that your merchant account providerâs business model is based on signing up as many merchants as possible in order to generate a profit. Theyâre also quite eager to have you sign a long-term contract, guaranteeing that youâll be on the hook for three years or even longer. And if you close your account or go out of business, theyâll usually collect a hefty early termination fee (ETF). Because these early termination fees can run into the hundreds of dollars, itâs possible in some circumstances that your provider will make more money from the ETF than they will from your processing fees. High-risk businesses tend to fail at a higher rate than low-risk enterprises, and most of these providers will not hesitate to charge you the full ETF even if youâre going out of business. Although more and more providers are now offering month-to-month billing with no early termination fees to low-risk businesses, itâs still very unusual not to be required to sign a long-term contract â with an ETF â if youâre a high-risk business. Even the most reputable high-risk specialists almost always impose these terms, so be prepared for it and be sure to review your contract documents very carefully before you sign up for an account, even with a reputable provider. The second step of the approval process, getting your acquiring bank or processor to approve you, is where the delays and difficulties come into play. The risk departments at these institutions really donât like to approve high-risk merchant accounts due to the increased chance that youâll run into problems later on. Every processor has their own criteria for determining whether youâre high-risk, and their own documentation requirements youâll need to meet before theyâll even consider approving you for an account. While your merchant account provider is highly motivated to approve your account, your processor has every reason in the world not to approve it. Getting approved for a high-risk merchant account is an uphill battle, and the chance of being turned down is very high. Fortunately, there are some really good providers out there who specialize in getting high-risk accounts approved, and theyâll work with you to get your paperwork in order and find a bank that can approve you for an account. Unfortunately, providers offering âinstant approvalâ sometimes take some shortcuts with this process so they can get you on the hook for that long-term contract (and usually that ETF as well). What they advertise as âinstant approvalâ (or being âpre-approvedâ) in most cases really means that theyâre approving your account â and getting you to sign your contract â before your acquiring bank or backend processor has completed all the necessary steps to determine whether to approve your account. In some cases, your merchant account provider wonât even complete a credit check before approving your account. This practice is all fine and dandy as long as your processor eventually approves your account. However, thereâs a high chance that they wonât approve you, and by the time they make that determination you may very well be up and running with your credit card terminal or payment gateway. If this happens, you may suddenly find your account frozen and your funds being withheld. Even worse, you may have your merchant account closed altogether. (Note that in this case, you usually wonât be liable for an early termination fee since you arenât the party deciding to close the account). In some cases, depending on the reason for your processor closing your account, you may even find yourself being placed on the Terminated Merchant File (TMF, also known as the MATCH List). Getting put on this list is really bad news, as it can completely prevent you from getting approved for a merchant account, even with another provider, for up to five years. If you havenât guessed by now, we highly recommend that you avoid any merchant account provider claiming to offer âinstant approvalâ of your high-risk merchant account. This approval process is incomplete and can easily lead to your account getting shut down shortly after you start using it. No matter how inconvenient it is to wait for the approval process to run its course, in the long run, itâs a worthwhile trade-off to get a fully-approved account that will be stable and reliable. Work With A Reputable High-Risk Specialist:Â The signup process can be sped up by ensuring there is a good chance of approval beforehand.Â This means working with a partner that has a proven track record and experience in your industry. High-risk specialists such as Durango Merchant Services will work with you to ensure that your paperwork is in order and can also work with a network of acquiring banks and processors to find one that will approve your business. Have Your Paperwork In Order:Â Youâll need to provide far more information when applying for a merchant account as a high-risk business owner. If you can present all of this information with your initial application, it will save a significant amount of time during the approval process. We recommend that you scan all required documents as PDF files so you can simply email everything you need to your provider as part of your application. See below for a discussion of specific documentation requirements. Be Completely Honest About Your Business: Are you selling medical marijuana (in a jurisdiction where itâs legal)? Do you have a personal bankruptcy on your record? Have you previously had a merchant account shut down by your provider? High-risk merchants who are desperate to get approved for a merchant account are often tempted to misrepresent these and other facts that might lead to them being disapproved for an account. Donât do it! Intentionally failing to disclose important information or getting caught in a lie will almost always lead to you being turned down for an account — or having your account closed immediately once the processor discovers your dishonesty. Youâre much better off being completely honest about your background. In many cases, you can still be approved for an account despite a little negative information. If youâre a high-risk merchant, we understand that merchant accounts are not easy for you. Okay, theyâre not easy for anyone, but high-risk factors make them even more complicated (and expensive) than they are for everyone else. Unfortunately, itâs too easy to get turned down a few times and start feeling like you have to sign up with any provider who will take you. Also, the inevitable delays in getting your account approved can make the possibility of âinstant approvalâ seem very tempting. Resist that temptation. Instant approval isnât what its promoters claim it is, and itâs a good way to set yourself up for much more serious problems down the road. The difficulties that high-risk merchants encounter in getting a merchant account have, unfortunately, created a market opportunity for unscrupulous providers who use the lure of âinstant approvalâ (or, sometimes, âguaranteed approvalâ) to lock you into a prohibitively expensive long-term contract with high fees, high processing rates, and an onerous early termination fee to discourage you from canceling your account on your own. 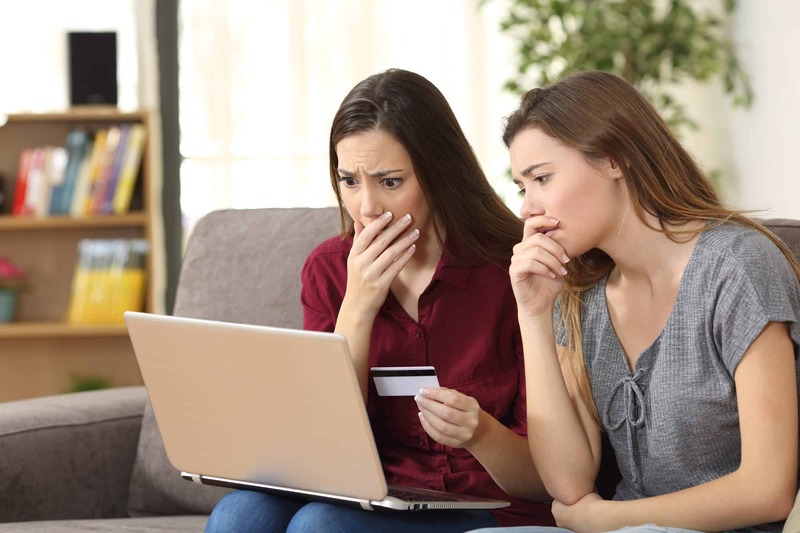 Do a Google search for âhigh risk merchantâ account, and youâll quickly find ads from plenty of predatory merchant account providers looking to take advantage of your desperation. Fortunately, it doesnât have to be this way. There are reputable providers who specialize in working with the high-risk community and will go out of their way to get you fully approved for an account. While their prices and contract terms wonât be as great as what a low-risk business could obtain, theyâre still reasonable and backed up by top-notch customer support. Weâd also note that none of the high-risk specialists weâve found offer âinstant approval.â Instead, theyâll work with you and help you to get your documentation squared away so you can be approved by one of their partner processors for a stable account that wonât get shut down the moment you actually try to use it. Of all the high-risk specialists weâve reviewed, weâve found Durango Merchant Services and Easy Pay Direct to be among the best of the best. They both have strong track records of providing high-quality service at reasonable prices. For more recommendations, check out our post The Best High-Risk Merchant Account Providers or see the chart below. The post Do High-Risk Merchant Accounts With Instant Approval Exist? appeared first on Merchant Maverick. Youâre ready to take your business to the next level. Perhaps you want to add to your team of all-stars, or you want to upgrade your equipment with the latest and greatest technology. Maybe youâre a startup and youâre ready to bring that next great idea to life. No matter how you slice it, starting or upgrading your business hinges on one big question: how are you going to pay for it? Most of us donât have unlimited amounts of cash at our disposal, so we have to rely on outside help to fund new projects, renovations, and other expensive initiatives to launch and grow our businesses. When it comes to financing, smart small business owners know that you canât go wrong with a loan from the Small Business Administration. Thatâs why youâre here. Youâve heard about the benefits of SBA loansÂ and now youâre ready to get funded. Thereâs just one problem: you donât know how to begin when it comes to the application process. While it may be intimidating, the SBA loan application process isnât that much different from getting a loan from your bank. However, knowing what to expect before you get started can help the process go much more smoothly and eliminate the hassles and headaches that come with being unprepared. Take a deep breath and read on to find out how to complete the SBA loan process from start to finish. Before you even fill out an application or talk to a lender, the first step to obtaining an SBA loan is to make sure that youâre qualified to receive one. In order to obtain a loan from the SBA, your business must qualify as a small business under the organizationâs guidelines. Typically, this means that your business must have no more than 500 employees, although this number could rise based on your industry. Net annual income should not exceed $5 million, while the businessâ net worth shouldnât be more than $15 million. To be eligible for anÂ SBA loan, the business must also be operated and headquartered in the United States. The small business should be for-profit (although non-profit child care centers qualify for SBA Microloans) and not engaged in illegal activities. Businesses involved in lending, investing, and real estate rentals do not qualify for most programs. Depending on which loan program you select, there may be additional requirements. For example, only veterans, service members, or the spouses or widows of veterans or service members can apply for the Veterans Advantage program. The Community Advantage program is limited to underserved areas, which include low-income communities and businesses owned by women, minorities, and veterans. One of the most important factors in the SBA lending equation is your credit report and score. Because SBA loans offer such competitive terms, it should come as no surprise that you need a good credit score to qualify. In general, a minimum score of 680 is required to even be considered for these loans. Your score isnât all that comes into play, though. Your full credit report (both personal and business) will be evaluated by a lender to determine if you qualify. Defaults on previous government-backed loans will disqualify you from receiving an SBA loan. Foreclosures or bankruptcies may also prevent you from receiving an SBA-backed loan. Negative items on your report, such as collections or past due accounts, wonât necessarily bar you from receiving a loan, but a valid explanation for each negative item will be required by the lender. This is why itâs so important to know your score and review your report before even starting the process. Itâs easy to obtain a free credit score and report so that you can make sure you qualify and dispute any erroneous items. If you find that your credit score is low, you can begin taking steps toward improving your credit before you apply. Youâve determined that you fit all of the requirements for obtaining an SBA loan. Now, the next step is to understand the SBA loan programs that are available and which works best for you. Each program has specific rates, terms, and maximum loan amounts, as well as requirements for how the money is used. Youâll need to evaluate your business needs to decide which program is the best fit. SBA 7(a) loans are the most popular among small business owners. This is primarily because of the extremely favorable terms and the flexibility with how funds can be used. With the 7(a) program, loan proceeds can be used toward just about any business expense. This includes purchasing equipment or inventory, acquiring a new business, renovating new facilities, working capital, or even refinancing old, high-interest debt. Standard 7(a) loans have a maximum loan amount of $5 million. Through the Community Advantage program, underserved communities can receive financing when traditional lending isnât a good fit. The Veterans Advantage program offers the same great benefits along with reduced guarantee fees. Express loans offer less funding but guarantee an approval response within 36 hours. Itâs important to note that loans through the Express program come with a slightly higher but still competitive interest rate than other 7(a) loans. In general, expect to pay between 7% to 9% interest on standard 7(a) loans. Repayment terms are up to 10 years for most purposes and 25 years for real estate purchases. Startups and established businesses are eligible to apply for 7(a) loans. This program is a good fit for almost any small business because these loans are the most flexible. SBA 7(a) loans are available through SBA-approved lenders, including banks and credit unions. Read more about SBA 7(a) loan programs. Small businesses requiring smaller amounts can apply for an SBA Microloan. Microloans are available through participating nonprofit organizations. The maximum borrowing amount through this program is $50,000. This money can be used for a variety of purposes, including the purchase of supplies, materials, and equipment. It can also be used as working capital. Microloans canât be used for the purchase of real estate or paying delinquent taxes. Like other SBA loan programs, SBA Microloans come with competitive interest rates. These rates are based on the intermediary lenderâs cost of funds. The average rate is about 7.5%. These loans are best for startups and small businesses that need smaller loans. This is also an excellent choice for non-profit childcare centers that are ineligible to apply for loans through the 7(a) program. If a microloan program seems like the right fit for your business, read on to learn more. The SBAâs 504 loan program is designed for businesses that want to expand or upgrade their facilities or equipment. Funding of up to $5 million is available through the SBAâs 504 program to purchase buildings or fixed assets, to build or update new facilities, or to purchase or improve land. Proceeds can also be used toward refinancing existing debt related to renovating, purchasing, or building new facilities or equipment. Through the 504 program, the SBA will provide up to 40% of the total project cost through a Certified Development Company. Fifty percent of the project costs must be financed through a traditional lender. The remaining 10% of costs are the responsibility of the borrower. Interest rates for SBA 504 loans are based on 5-year and 10-year Treasury issues. Repayment terms are set at 10 years and 20 years. Small business owners that wish to update or expand their facilities or equipment are the best candidates for this loan program. If this sounds like you, learn more about the terms, eligibility, and requirements of SBA 504 loans. Sometimes, the unexpected happens. Whether itâs a sudden deployment, a natural disaster, or changes within the economy, these unforeseen events can have damaging effects on a business, even leading some owners to shut their doors for good. The SBA understands these situations and offers various Disaster Loan programs designed to help small businesses weather the storm. These loans include Physical Disaster Loans, Economic Injury Disaster Loans, and Military Reservists Economic Injury Loans. Through the Physical Disaster Loan program, businesses and nonprofit organizations can receive up to $2 million for the repair or replacement of damaged property. This includes real estate, fixtures, inventory, and equipment used to operate the business. Loan proceeds can be increased to offer protection from future disasters, covering losses that are uninsured or under-insured and providing business owners with an extra level of protection. Repayment terms can be set up to 30 years, and interest rates are set at 4% and 8%. Through the Economic Injury Disaster Loan, businesses and nonprofit organizations can apply for up to $2 million if economic injury occurs. This money can be used to cover financial obligations that would have been paid by the business had it not been affected by the disaster. Repayment terms are up to 30 years with interest rates set by the SBA at 4% and 8%. The Military Reservist Economic Injury Disaster Loan is designed for reservists who have been called for active duty. These loans are used for the working capital needed to pay business expenses until the employee returns from active duty and business operations recover. They cannot be used for refinancing debt, business expansions, or to cover income or profit losses. The total amount of the loan is based on the actual economic injury as determined by the SBA. Interest rates for these loans are set at 4% with a maximum repayment term of 30 years. Once youâve narrowed down your loan options and have selected the program thatâs right for your business, youâll need to find an intermediary. SBA loans do not come directly from the SBA to the borrower. Instead, these government-backed loans are provided through approved lenders including banks, credit unions, private lenders, CDCs, and nonprofits. Because the SBA guarantees at least 50% of loan proceeds (and in most cases, 85%), lenders are more willing to provide these loans to qualified small businesses. This doesnât mean that you can just walk into any bank and receive an SBA loan. You have to find an SBA lender partner that services your area. There are a few different ways that you can do this. The first thing you can do is consult any financial institution with which you have a working relationship. Explain the type of SBA loan that youâre looking for and ask for a referral for local SBA intermediaries. You can also visit the SBA website, which offers a Lender Match service. Simply input a small amount of personal information, and this tool will match you to a lender that services your area. SmartBiz is another option you can consider. You can quickly and easily find, apply for, and receive an SBA loan through this service. This online loan marketplace can also match you up with other sources of funding if you donât qualify for an SBA loan. There are also loan matching services and online brokers that can help you find a lender and offer support through the application process. Once youâve found an SBA-approved lender, itâs time to dive into the actual application process. This process can be a little intimidating, but it doesnât have to be difficult provided you know what to expect going in. The most important thing is to make sure you come prepared with the proper documentation. SBA borrower information forms are required for every partner, director, managing member, or owner of the company. All owners with at least a 20% stake in the company should also be prepared to sign a personal guarantee and have their resumes available. Personal financial statements will also need to be provided. For the business, an income statement, balance sheet, and federal income tax returns for the last three years must be provided. A cash flow projection for a period of one year will also need to be included with the application. Business and personal credit reports will also be used to determine your creditworthiness. For collateral requirements, real estate appraisals, lease agreements, and environmental reports are required. Additional documentation including Articles of Organization, all business licenses, and information pertaining to judgments and lawsuits may also be needed. Affiliated and subsidiary business information will need to be provided during the application process. Before meeting with the lender, you can inquire about any additional documentation that is needed so that it can all be compiled prior to filling out the application. Once the application has been submitted for your SBA loan, the next step is to wait for your approval. Depending on the loan youâve applied for, approval can take several weeks, although some options — like SBA Express loans — will be approved within 36 hours. During this time, you should communicate with your lender and make yourself available for any additional follow-up questions. More documentation may be required by the lender, so make sure that you deliver this in a timely manner to avoid delays in the application process. Typically, you should expect the entire process from application to funding to take 30 to 90 days. The SBA 504 loan process is a bit different than the standard SBA loan process. More documentation is required for these loans. This includes but is not limited to estimates, quotes, and costs from vendors and contractors that will be working on the funded project. For real estate purchases, an independent appraisal is required. Because the borrower will also be working with another lender, a letter of intent from the lender will need to be submitted with the SBA application. The lender will also need to provide a reason for why it will not provide financing for the entire project. If debt is to be refinanced using 504 loan proceeds, the borrower must provide information on the current debt, including lien instruments and account transcripts. When SBA loan proceeds are used to purchase a business, the process does not differ much from what it would be when applying for any other loan. Credit reports and financial documentation will be required to determine eligibility. However, there are a few additional documents needed for approval of the loan. If real estate is being purchased using the loan, business, stock, and asset purchase agreements are required. A real estate purchase agreement is also needed and will be submitted along with other documentation and the SBA loan application. A business plan is also typically required. The applicant must also show that they have experience in the industry of the business they plan to acquire. If youâre a startup business (defined by the SBA as a business that has been in operation for 2 years or less), there are a few different requirements for applying for an SBA-backed loan. There are certain documents that startups simply won’t have, such as three yearsâ worth of business income tax returns. However, alternative documentation can be used to qualify a new business, including a detailed business plan, a cash flow analysis, and financial projections of at least one year. To qualify for SBA loans, startups must be able to show through this documentation that they will be successful and profitable, despite their short operating history. The applicant must also show proof of industry experience. SBA loans are available for franchises. In many cases, loans for a franchise are easier to obtain than for the purchase of other new businesses because the franchise has a proven business model. The organization has its own SBA Franchise Directory. This directory has a listing of all brands that are eligible to receive financing from the SBA. This list includes everything from restaurants to dry cleaners and insurance agencies. All brands that meet the FTC definition of a franchise are included on the list. Some franchises do not fit under the FTCâs definition of a franchise. In these cases, the SBA has the option to add brands to the directory if it meets other requirements. Financing, including the 7(a) standard loan, can be obtained to purchase a franchise. The same documentation for other SBA loans applies. In addition, agreements between the franchisor and franchisee will also need to be produced, as well as other documentation. How long does it take to get an SBA loan approved? The time it takes to get approval on your SBA loan varies. Gathering the needed documentation may take weeks, while the approval process itself can several weeks or even months, especially if more information is required. Applicants who need approval in a hurry can turn to the SBA Express loan. Even though this provides lower maximum funding than other SBA loan options, approval is guaranteed within 36 hours. However, itâs important to note that the actual underwriting and funding of the loan will take additional time. To apply for an SBA loan, you will need to work with an SBA-approved lender. Use the SBA Lender Match tool, a loan broker like Lendio, or consult with your existing financial institution to find a lender near you. You can also use the SmartBiz marketplace online to prequalify and apply for SBA loans. If you donât qualify, other lending options are available through SmartBiz. I have bad credit. Can I still be approved for an SBA loan? Your creditworthiness is an important factor in getting approved for an SBA loan. If you have a credit score that falls below 680, itâs unlikely that youâll be approved. If you need a loan but donât qualify for an SBA loan, donât worry â you have options. The first thing to do is begin working on your credit. Obtain your free report and score, then follow these helpful hints for boosting your score. In the meantime, you can also check out your other business loan options. Online small business loans can be obtained with credit scores as low as 500. While the terms may not be as favorable as with SBA loans, there are still some great options out there that will help you get the financing you need today. What if I need assistance with my SBA loan application? Navigating the SBA loan application process can be difficult, but you donât have to do it alone. If you have questions about completing your loan application, you can always ask your SBA-approved lender. If you havenât yet found a lender to work with, SCORE is a great resource. This nonprofit organization provides resources and services including free business mentors that can help you through every step of the process. I donât qualify for an SBA loan/my application was rejected. What are my options? If you donât qualify for an SBA loan or your application was rejected, youâre not alone. SBA loans are extremely competitive and getting this type of funding can be difficult. However, this doesnât mean that youâre stuck without the financing you need. Instead, you can apply for a non-SBA business loan. Online business loans have less stringent requirements. Terms vary depending on the lender you work with and your creditworthiness. Installment loans, short-term loans, lines of credit, credit cards, and other financing options are available through online business lenders. To find the loan thatâs right for you, check out this comparison of the most popular small business loans. SBA loans are a great option for small business owners, but the application process can be frustrating when you donât know what to expect. Being prepared, gathering your documentation in advance, and knowing what to expect beforehand can help simplify the process, putting you on the path to financing for your small business. The post How To Apply For An SBA Loan: A Complete Guide appeared first on Merchant Maverick. The SBA has several options for small business owners in need of a business loan for real estate. Of the six types of SBA loans, 7(a) Loans and 504 Loans are the two most viable options for real estate purchases. Other SBA loans (CAPLines, Export, Microloans, and Disaster) either prohibit borrowers directly from using funds for real estate or are not set up in a way to support such purchases. If you need an SBA loan to buy property, a 504 or 7(a) Loan is your best bet. While both can be used for real estate, the two do have differences that make some better for small business owners than others. The main differences are in where the funding originates, the loan structure, and the SBA loan down payment. 504 loans are supported by both the SBA and CDCs (certified development companies)Â and have strict loan structures in which the borrower is only required to make a down payment of 10%. A 7(a) loan is backed only by the SBA. The structure of the loan can vary dramatically depending on theÂ risk involved with financing– 10% is the minimum down payment required. 504 loans offer fixed-rate financing, while 7(a) loan products offer lower but variable fees adjusted quarterly. The SBA 504 loan is a program backed by the SBA and Certified Development Companies. These selective loans are open to for-profit small businesses operated by United States citizens and resident aliens. They offer fixed interest rates, long-term financing, and smaller down payments. The purpose of 504 Loans is to promote job creation through supporting small businesses. Recipients are connected with a CDC, a non-profit organization that is certified and regulated by the SBA. The CDC will then provide financing in partnership with the SBA. These loans can be used for fixed assets, like real estate, and a few soft costs. There are strict policies on how the funds may be used– borrowers cannot use financing for working capital, inventory, or consolidation or repayment of debt. Because of the focus on fixed assets, 504 Loans are often referred to as SBA Real Estate Loans or SBA Commercial Real Estate Loans. A 504 loan can be used for purchasing an existing building, land or land improvements, constructing or renovating facilities, purchasing equipment for long-term use, or refinancing debt connected to renovation or equipment. This policy makes a 504 Loan a great option for a real estate loan. While no limit exists on project size for 504 loans, there is a maximum SBA loan amount of $5 million. This number may rise to $5.5 million if the recipient intends to use the money to finance an energy-related project. The 504 loan application guides potential recipients through the process of providing such material. It is a lengthy application — thirteen pages, to be exact. You can expect to provide information on your small businessâs project costs, energy efficiency goals, debenture pricing, and more. The application can be completed and submitted to your areaâs CDC, which will then partner with the SBA Loan Processing Center to determine eligibility. You can get connected with your regional CDC through the SBAâs online resource for small business owners. 7(a) loans are the most popular financing option for small business owners. They are backed by the SBA in amounts up to 85%, providing opportunities for businesses that may be ineligible for traditional loans. There are several types of 7(a) loans that provide versatility, long terms, favorable rates, and flexibility for small businesses. 7(a) loans can be used for a wide variety of needs: working capital, building, renovating, business startups, construction, real estate, equipment, and more, depending on your lender and loan agreement. This versatility, of course, also includes fixed assets such as real estate purchases. 7(a) loans are flexible and can be negotiated depending on a particular businessâs needs; this makes them a viable option for many small businesses purchasing real estate. Rates and terms for 7(a) loans can vary depending on the specific loan agreement, lender, borrower, etc. The SBA Loan Calculator is a great way to better understand your specific loanâs rates and fees. We track the current SBA loan rates at merchant Maverick. To apply for a 7(a) loan, you will need to fill out an online form that describes your business and its needs. The SBA uses this information to match you with a lender with whom you can negotiate a loan. Do SBA Real Estate Loans Require A Down Payment? While down payments do vary in size, there is usually a minimum 10% down paymentÂ required from SBA real estate loan recipients. You will also need collateral, which depending on your specific loan, can usually be any property or equity owned by the business. Some lenders will allow borrowers to use personal items, such as a personal home or vehicle, as collateral. Depending on the lender, an SBA loan of any kind may also require a personal guarantee from the borrower. For real estate financing, SBA 7(a) Loans and SBA 504 Loans are the most viable options for small business owners. Both 7(a) and 504 loans offer reasonable rates and flexibility for business owners, so the best loan for your individual business will rely heavily on the specifics of your needs for real estate. The post SBA Loans For Real Estate: Your Best Options appeared first on Merchant Maverick. Sometimes youâll need to transfer a previous credit card balance when getting a new card. However, not every card is made equal when it comes to transferring in an old balance. Some add on extra transfer fees or put a cap on how much you can transfer. Others may even tack APR onto balance transfers. Unfortunately, itâs not always easy to figure out the best credit card options when it comes to transferring a balance. Thatâs why weâve picked out some of the top balance transfer credit card offers for business owners. Read on through to find out which card could be best for you. With a 0% intro APR for the first 15 months on purchases and balance transfers, this card from American Express offers the longest introductory period currently available. That means you’ll have plenty of time to pay your balance without racking up interest charges. For rewards, it provides two points per $1 up to $50,000 spent, and then one point per $1 after you hit that cap. Those points are usually worth $0.01 but may wind up higher or lower depending on how they are redeemed. Keep in mind that the balance transfer fee sits at 3% (with a minimum fee of $5) although thatâs relatively normal. For an in-depth look, spend some time with Merchant Maverickâs complete review. Because Capital One markets this card towards average credit applicants while packaging it with unlimited 1% cash back on all purchases, Spark Classic is a solid choice for those with fair credit. As long as you manage your account responsibly, youâll help build up your credit score. Increasing your credit score could potentially allow you to switch to a card with better rewards. The Spark Classic for Business also comes with no balance transfer fee, no annual fee, and no foreign transaction fee. With its unlimited 2% cash back on all purchases and no balance transfer fee, this card certainly appeals to those looking to transfer debt. Capital One also includes a welcome offer of $500 cash if you spend at least $4,500 in the first 3 months of opening your account. However, there is a $95 annual fee, although it is waived the first year. To qualify for this card, youâll need to have excellent credit; youâre required to have had a loan or credit card for three-plus years with a credit limit in excess of $5,000 before getting a Spark Cash for Business card. For a deep dive on Capital Oneâs card, take a look at Merchant Maverickâs full review. While this card also made the list at best overall, its 0% APR for 15 months is hard to beat when looking at introductory APRs. Because that 0% intro APR is applicable to both purchases and balance transfers, this card is especially attractive for those with balance transfers. Do note, however, that American Express does attach a pretty normal balance transfer fee of 3% or $5âwhichever is higher. The Ink Business Cash card offers a 0% intro APR on both purchases and balance transfers for the first 12 months. On top of that, Chase really packs some hefty rewards into their Ink Business Cash credit card. These rewards include 5% back on purchases at office supply stores and on internet, cable, and phone purchases up to a combined $25,000 each account anniversary year. You can also earn 2% back at gas stations and restaurants up to a combined $25,000 each account anniversary year. For everything else, youâll get 1% cash back. Head on over to Merchant Maverickâs in-depth review for more details on Chaseâs card. The most obvious reason for doing a business credit card balance transfer is if youâve found a card with a lower APR or better rewards. You may also only want to transfer a certain amount of your debt in order to lower your per-card utilization ratioâpotentially increasing your credit score. As we mentioned in our guide to using personal credit cards for business expenses, youâll want to separate personal and business expenses when possible. However, if youâve already accrued some business debt on a personal card, you can transfer that debt onto your new business card. Doing this will help completely separate your personal and business expenses. Approval is dependant on the card and the issuer. Each issuer has their own requirements, but theyâll primarily look at your debt service coverage ratio (DSCR) andâmost importantlyâcredit score. Every financial institution has their own standards, but for the most part, a credit score of 600 â 670 is considered âfairâ, 671 â 750 is considered âgoodâ to âvery goodâ, and a score of 751 â 850 is considered âexcellentâ. Donât know your credit score? Visit a comparison of our favorite sites to check your credit score for free. Unsure how to calculate your DSCR? Check out our calculation guide. If youâre struggling with your credit score, visit the Merchant Maverick guide to improving your business credit score. Or head over to our doâs and donâts of business credit cards if you still need to learn the basics. You may also be able to consolidate your debt with a short-term loan; read up on the merchantâs guide to short-term loans for more information. 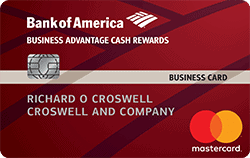 The post Top Business Credit Card Balance Transfer Offers appeared first on Merchant Maverick.